Sensor locations on the Voith turbines installed at EMEC, highlighting the optical cameras. The positioning of the video cameras on the device turned out to be useful for showing the levels of biofouling on the nacelle of the device. 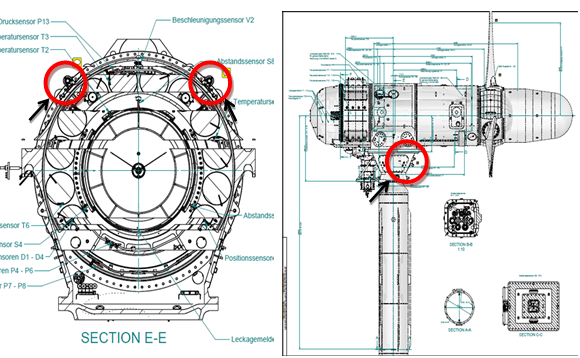 A time lapse video is available which shows distinct progressive fouling of the nacelle. Growth begins within weeks of the turbine being in the water. Biofouling is patchy at first but coverage increases with time until most of the visible nacelle is covered in growth. This becomes darker with time suggesting an increasing density of fouling. Fall of Warness HyTide 1000 Video Monitoring Data of Biofouling is located in United Kingdom.